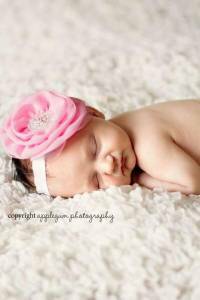 This pink big flower headband makes a unique professional girl's photo prop. 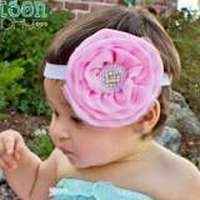 This pretty pink flower headband is a fun accessory to wear every day. 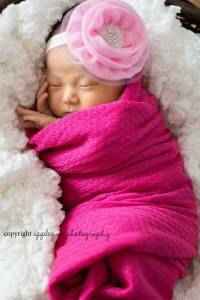 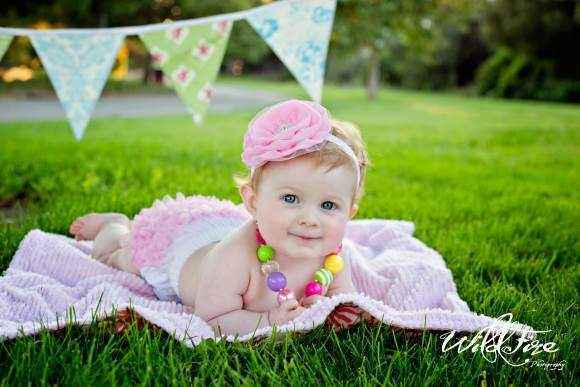 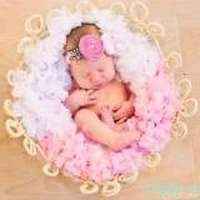 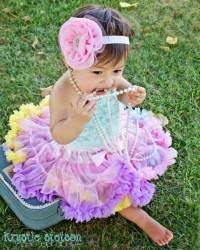 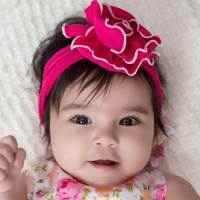 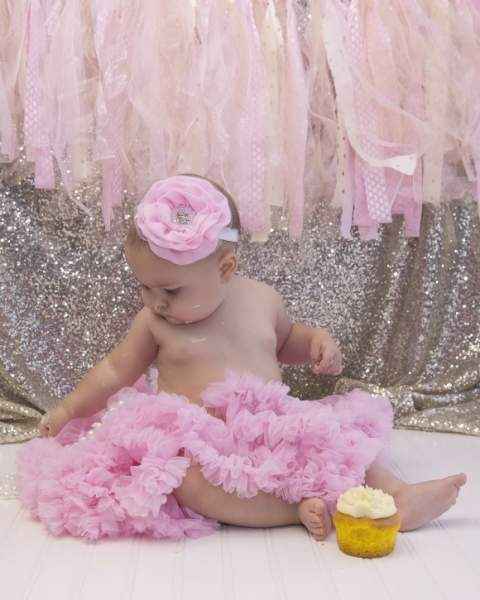 This cute pink girls headband also makes a sweet baby or birthday gift. 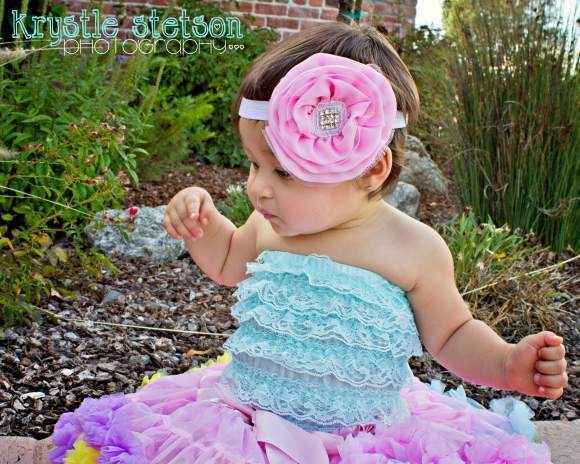 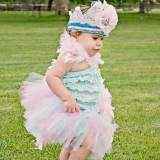 This cute pink girls headband features a pink chiffon and mesh flower, accented with beads and rhinestones in the center. 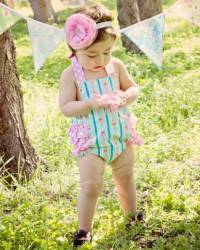 The flower measures approximately 4 1/2 inches across. Note: Each pink big flower headband is handmade individually, and so there will be slight variations from the photos. 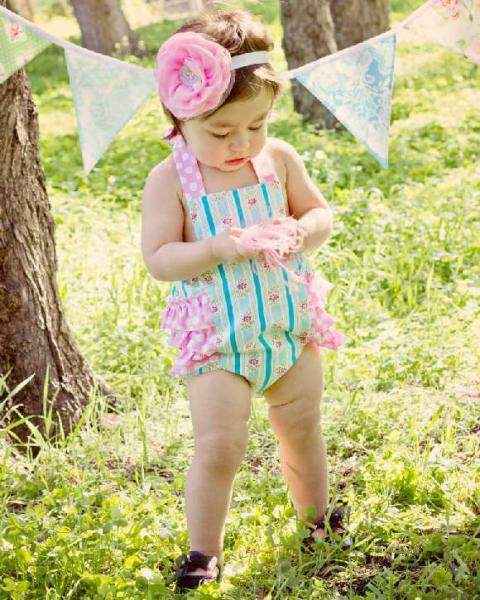 Each pretty pink flower headband is handmade in the United States.